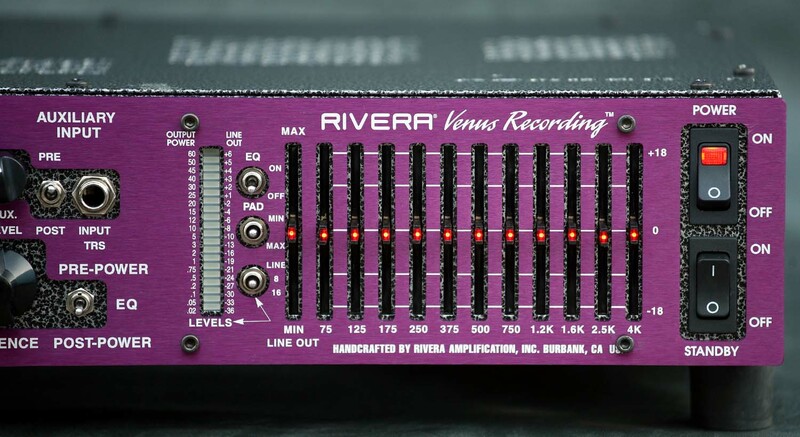 The Venus Recording is your all-tube analog mega tone machine. 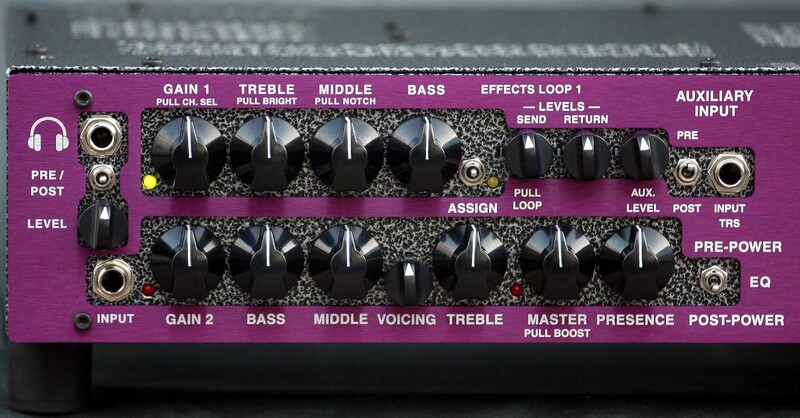 With 2 channels, Treble "Bright" and Middle "Notch" switches, Voicing switch, Built in 11 band Rockrec EQ and a pre and power amp channel assignable effects loop, you'll be able to dial in any tone you can dream of Directly into your DAW or a mixing console. No need to mic a Cab again! 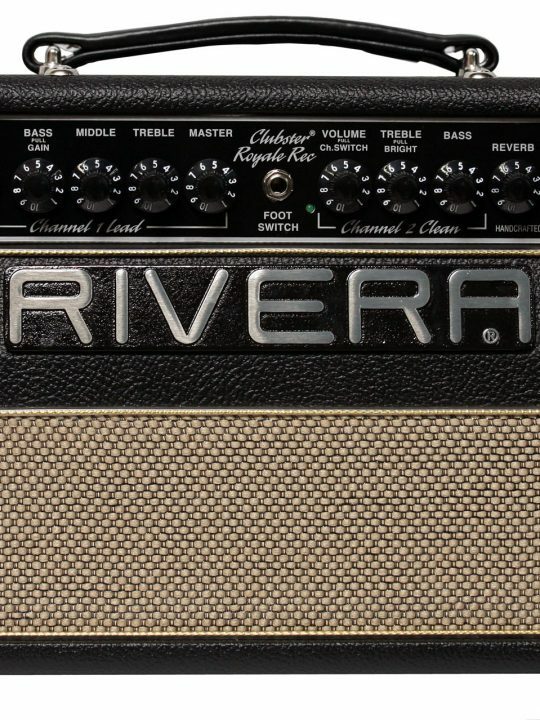 However, there's 25watts of luscious 6V6 power, which is plenty to push your favorite cabinet on stage when you need. Also, features a Foot-switchable lead boost, balanced and unbalanced outputs, an Aux input and a Headphone output for late night silent jams. At 18lbs, touring musicians can carry this compact tone monster for any quick fly dates with ease. The Venus Recording is your all-tube analog mega tone machine. With 2 channels, Treble “Bright” and Middle “Notch” switches, Voicing switch, Built in 11 band Rockrec EQ and a pre and power amp channel assignable effects loop, you’ll be able to dial in any tone you desire Directly into your DAW or a mixing console. No need to have mic a Cab again! However, there’s 25watts of luscious 6V6 power, which is plenty to push your favorite cabinet on stage when you need. Also, features a Foot-switchable lead boost, balanced and unbalanced outputs, an Aux input and Headphone output. Channel 1’s can go from super spanky clean to a hot blues overdrive or classic rock tone. The combinations of the Treble “pull Bright” and Middle “pull Notch” can give you 4 different clean voicings and allows you to get tweed or blackface tones. Crank up the Volume knob for more gain and get “Clean Sustian” giving all those Gilmour, EJ and Carlton tones. Channel 2’s lead channel can be voiced for either classic rock, hard rock, metal or progressive shred. You can also adjust the interaction of the 3 band passive tone controls with the Voicing control to give you a wide tone range from our knucklehead series, tweed 2 knob Fender champ, to a vintage 60’s Marshall top, JTM-45 Combo, Vox AC-30 or classic blackface Fender. These 11 bands of EQ frequencies are all in the guitar speaker range and were chosen to allow you to mimic most of the common guitar speakers used for classic, vintage and modern tones. Each band has a DB range +18 or -18 giving you mega amount of dynamic range which allows you to dial any style of tone, fit in any mix or cut through any band. The 11 band EQ can also be positioned before the internal power amplifier-after either channel and pre-effects loop, allowing fine tuning of guitar tones and heard through the speaker, and also through the recording output. In the post power amplifier signal position, our equalizer becomes the ultimate speaker emulator, and can be adjusted to represent your favorite speakers with the affected signal coming from the Recording Output. This equalizer can be bypassed from the front panel selector switch. 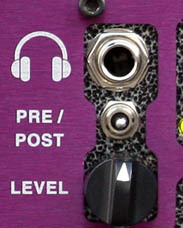 With the equalizer in the pre-position, the recording output still retains a speaker emulation filter. 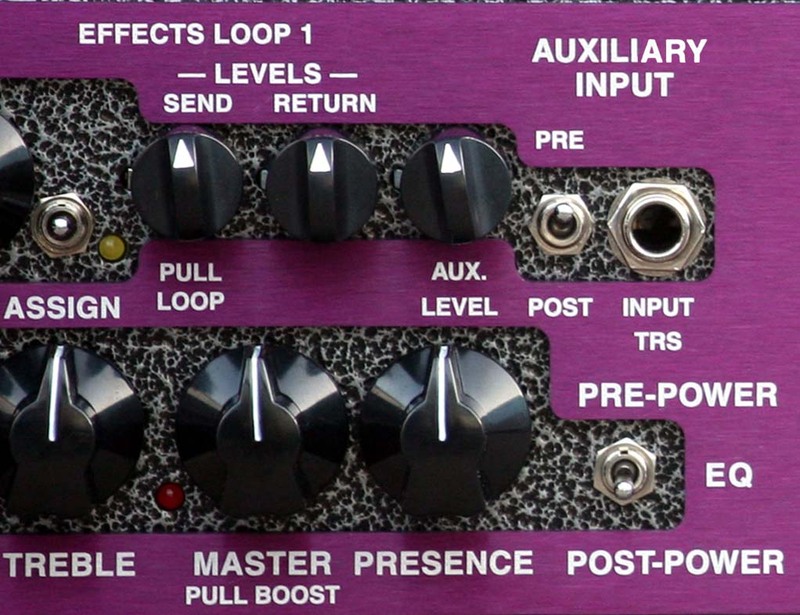 There are two effects loops provided. 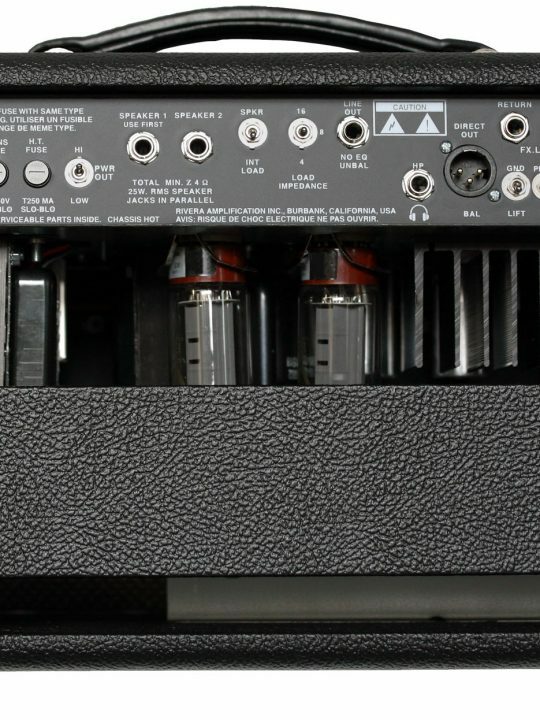 The first is between the preamplifier section and the power amplifier, fully buffered and has level controls on the front panel for send and return level matching, is foot-switchable for bypass, and can be assigned to either preamp channel or both. This allows effects such as delay and chorus to be heard through the speaker and power amplifier, and yet unaffected by the preamplifier tone controls. 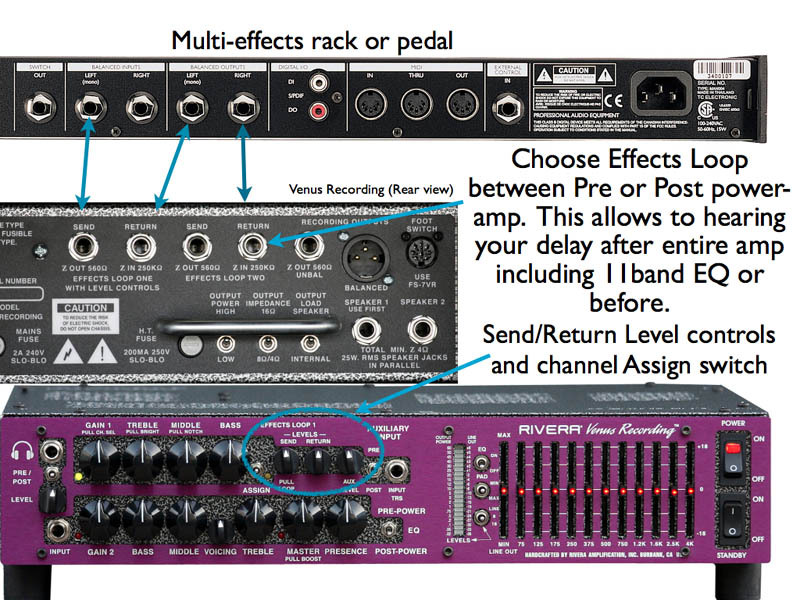 The second effects loop, is fully buffered as well, is between the power amplifier and the recording output, allowing patching of effects such as spatial reverbs and delays to capture the power amplifier distortion character, and then feed the signal into the speaker emulation equalizer and then through the recording output. This gives potential for a huge aural image to your recorded guitar tone, or to the house mains. The Auxiliary Input allows for an external signal, such as the preamp of another amplifier, an effects device that would run in parallel, or a music source such as an iPod or iPhone to be inserted either before the power amplifier section, or before the recording output. In the case of a music source player, you can jam along with your favorite tracks and record both together. 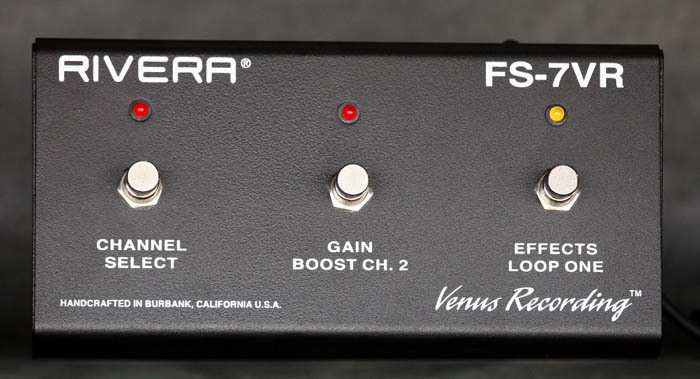 Some pedal effects configurations would allow the guitar to feed not only the Venus Recording, but also to feed a parallel signal path that can be blended by the Auxiliary Input level control. If you want to re-amp a signal and have it heard by the power amplifier and speaker, and or feed the speaker emulation equalizer, this is a great feature. 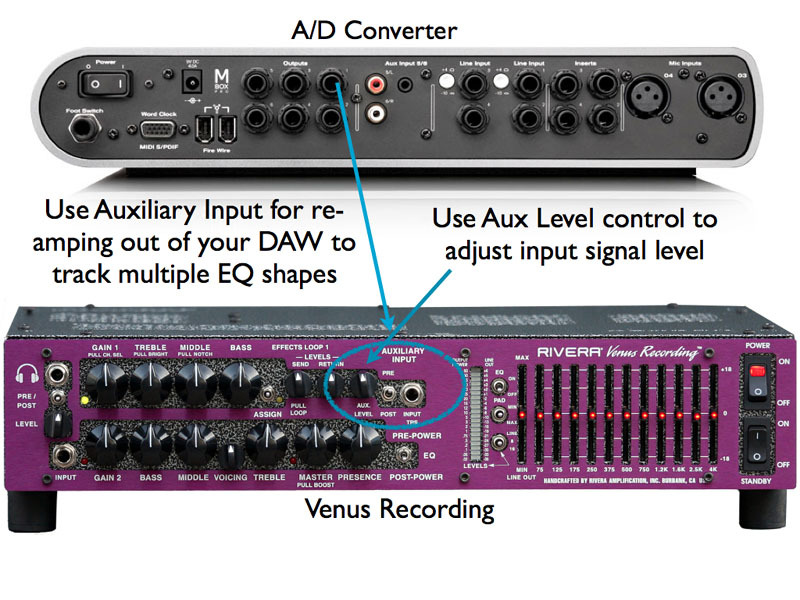 If your re-amp signal is too hot, the Aux Level control will allow you to back off the input level. The Headphone Output is provided to monitor in real time the signal from the Recording Output or from the signal feeding the power amplifier. Because of latency in DAWs, having a real-time monitor of your signal allows you play along accurately. For late night shredding, you can silently play and record. A musician can also dial-in his tone before sending the signal to the front of the house. Classic guitar tones have a midrange notch that varies from 250 Hz to 800 Hz. On channel 2, our lead channel, you can adjust the interaction of the 3 band passive tone controls with the Voicing control to range from our knucklehead series, tweed 2 knob Fender champ, to a vintage 60’s Marshall top, JTM-45 Combo, to a Vox AC-30 or classic blackface Fender. We provide a level meter than can be switched from measuring the power amp output in watts, or the recording output level in dB (decibels). There are two recording outputs provided, a balanced and transformer isolated XLR, and a unbalanced phone jack output. Both can be used simultaneously. Features also include 2 speaker outs, 4/8/16 impedance switch, High and Low power switch (25watts or 7watts) and a Silent (internal load) or External (cabinet) load switch. Rack ears and FS7M Midi interface optional. FS7M midi interface allow you to channel switch, turn effects loop on or off and channel 2’s gain boost via midi.